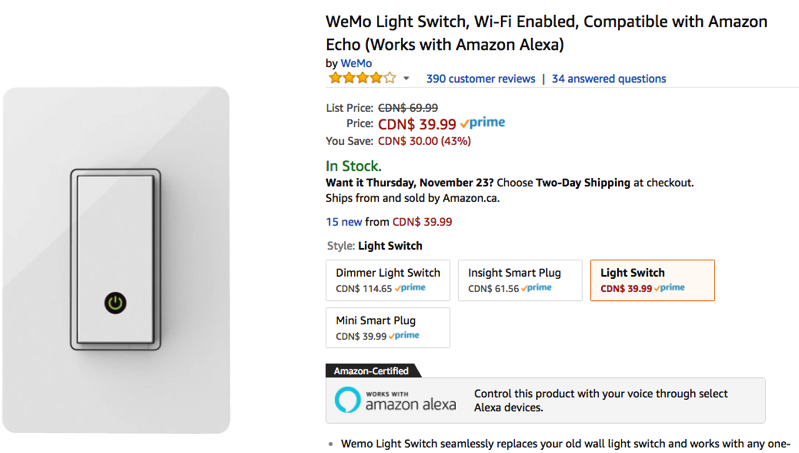 WeMo’s Wi-Fi light switch which supports Amazon’s Alexa voice assistant is on sale for 43% off on Amazon.ca at $39.99, which is the second lowest price ever on the site, according to price tracker CamelCamelCamel (the other lowest price was $34.99 last year). This switch–which does not require a hub–will let you use Amazon Alexa to control it with your voice, once the assistant launches in Canada next month, while also supports IFTTT recipes. It also works with Nest so it knows when to turn off your lights when you’re not home, plus allows for scheduling. If you’ve always wanted to control lights using your voice, and you plan on getting an Echo device instead of using Apple HomeKit, this will work as alternative. 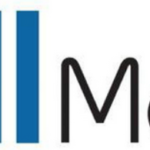 Click here to jump on the WeMo Light Switch while it’s still on sale.